1. 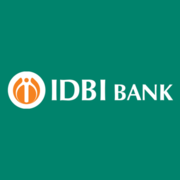 Retired from IDBI Bank as an Officer in Grade C/ D/ E or from other PSBs in Scale III/ IV/ V (either on superannuation or on VRS). 2. No punishment under major penalties against the officer during the last 10 years of active service. 3. Must have working knowledge of MS Word and MS Excel and having a Laptop to carry out the assignment. 4. Officer must have sound health i.e. he/ she must be medically fit and have mobility for carrying out work at branches. For Officers in Grade ‘E’: ₹ 2000- per actual working day. For Officers in Grade ‘D’: ₹ 1800- per actual working day. For Officers in Grade ‘C’: ₹ 1500- per actual working day. Eligible candidates may send their application in prescribed format (attached below) to The General Manager, Human Resources Department, IDBI Bank Ltd., IDBI Tower, 21st floor, WTC Complex, Cuffe Parade, Mumbai – 400 005 on or before 07 Nov 2018, along with attested copies of relevant certificate(s)/ documents, in support of proof of age, category, educational qualification, work experience, etc.